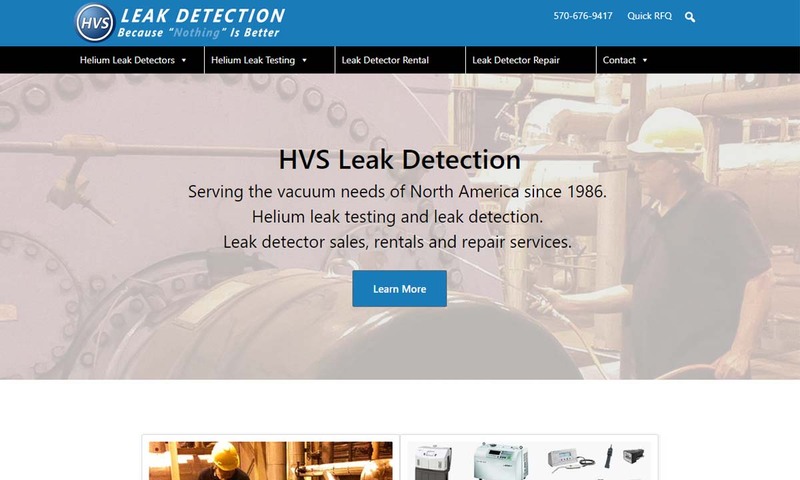 A reliable source for Leak Detectors information and a resource for accessing leading Leak Detectors and suppliers. Leak Detectors Leak detectors, also called gas detectors, per their application, are devices made to detect, identify, and alert those in the area of gas or liquid system leaks. Using ultrasonic waves, sound, visible indicators, or flame ionization, leak detectors recognize changes in pressure and flow rates and can determine the size and composition of a leak. Furness Controls' production line leak detectors and related models give an edge on resolution, accuracy, repeatability & speed.  They are nearly unrivaled in the quality control of manufactured components for use with water, oil or gas for over 30 years. 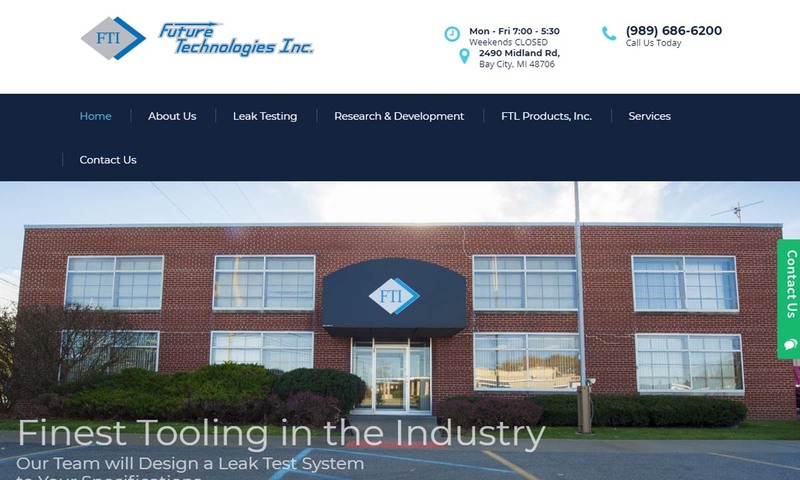 Future Technologies provides custom leak testing systems, function testing equipment, as well as calibrated standard leaks to solve your quality control challenges and satisfy customer demands. The team at Hi-Vac Specialists offers new, used and rebuilt equipment including vacuum pumps, vacuum systems and leak detectors. We can rebuild your unit to like-new condition at an economic price. As a global leader, INCON® has established itself as a leading manufacturer of high-quality leak detection systems and gas leak detectors. 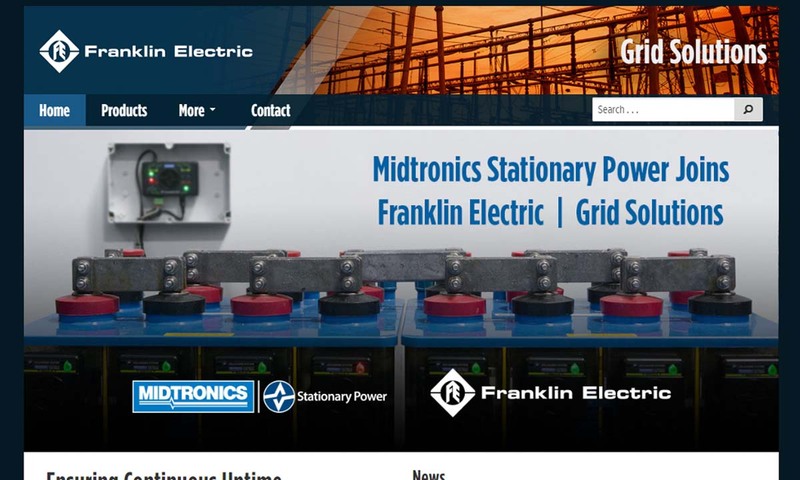 We provide electronic measurement and monitoring systems for power utility industries. 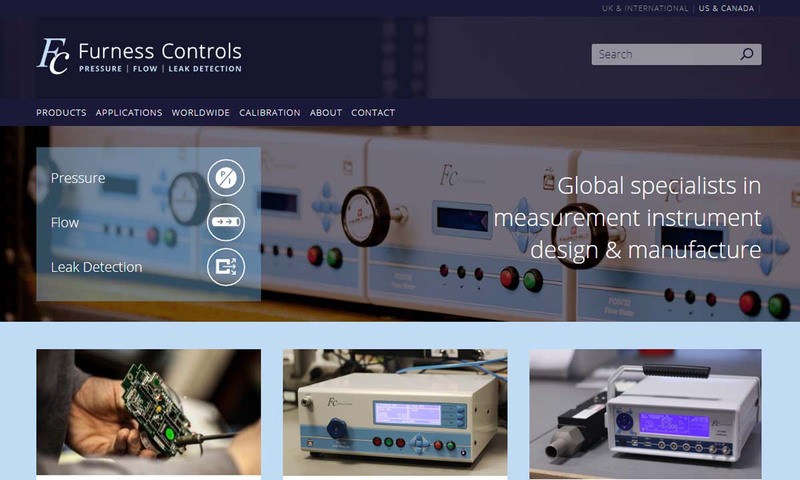 INFICON offers leak detectors, gas leak detectors, gas analyzers and helium leak detectors for leak checking components, subassemblies, system test and final test. It may shock modern sensibilities that early leak detection methods literally sacrificed living beings. Gas leak detection became especially important during the midst of the Industrial Revolution and development of the coal industry. To detect toxic methane, a single worker was often sent into areas with a lighted torch and wet blanket. (Not surprisingly, many such workers died by combustion in the process.) Eventually, this harsh method was mitigated by the use of canaries, who would alert miners to potential danger by violently rattling cages in the midst of methane asphyxiation. As gas leak detection became important to industries beyond mining (e.g. wastewater treatment, oil refining, metal bleaching, etc. ), more sophisticated methods of leak detection had to be developed. To fill this need, early gas monitors appeared and detected methane by catalytic diffusion. The main flaw of this device was its need for manual intervention to update its readings. In the early twentieth century (1920s), a Japanese doctor named Dr. Riken and the US-based Standard Oil Company refined combustible gas detection through methods using light-wave interference and platinum catalysts (respectively). In the 1980s, the first gas detectors dependent on semi-conductor technology appeared. Leak detectors play a very important role in everyday life because humans use a variety of different gases that are potentially dangerous if ingested or if not carefully contained. This is especially true of two specific categories of gas: natural gas and refrigerants. Natural gas is an energy source used for water heating, home heating, cooking, and automobile heating and powering. It is a naturally occurring mixture of four gases (methane, ethane, butane, and propane) produced from organic remains by pressurized heat processes within the earth. Once it has been combined with crude oil, natural gas is one of the cleanest and most efficient energy sources available to humans. Although it is relatively safe compared to other energy sources, natural gas is potentially dangerous for at least a couple different reasons. Since natural gas is 70-90% methane gas, it is highly flammable. It is easy for an explosion to occur or a flash fire to start if even just a small flame or spark comes in contact with leaked natural gas. Also, if it is ingested in large amounts, methane gas can cause death. As with many gases used by humans, natural gas is colorless and odorless, making the detection of leaks (e.g. from damaged pipes, incorrectly installed household appliances, etc.) difficult but crucial. The other common harmful gas group consists of refrigerants. These substances are found in air conditioning equipment, freezers, and refrigerators. A refrigerant is simply a fluid that is easily convertible from a liquid into a gas, and vice-versa. These characteristics of refrigerants make them very useful for extreme temperature applications. For example, an A/C unit compresses a gaseous refrigerant to heat it up before quickly cooling it into a liquid form via a system of special coils. Cooled refrigerant then absorbs heat from the external environment and replaces it with chilled air. Many older refrigeration systems utilize chlorofluorocarbons (CFCs) as artificial refrigerants. While these chemicals (including “Freon”) are much more efficient than natural refrigerants (like water), they pose several risks including heart problems (due to oxygen displacement, etc.) and the environmental depletion of the ozone layer. Other toxic gases that can commonly occur in places of human activity include carbon monoxide and propane. Dangers like these are the reason why it is so important that heating systems, vehicles, furnaces, and refrigeration systems, both in the home and in commercial settings, come equipped with one or more leak detectors. Since an extremely wide range of leak detectors exist, there are a few approaches to categorizing them. As alluded to earlier, leak detectors can be broadly divided into fixed or portable types. Fixed leak detectors are ideal for settings such as bedrooms or industrial plants that utilize SCADA systems. Portable leak detectors are battery-operated and ideal for detecting gases in a person’s immediate vicinity. More commonly, leak detectors are identified by the type of gas they identify. Although many gas detectors are capable of detecting and analyzing more than one type of gas, they can be broadly divided into devices which detect combustible gases (such as natural gas) and those which detect toxic gases (e.g. refrigerant leak detectors). It is safe to say, however, that the preferred method of identifying leak detectors is by the actual method they use to detect a leak. Overall, leak detectors use a wide variety of leak testing methods and types of sensors to perform those methods. Two key characteristics of a detector include the ability to accurately locate a leak as well as the ability to accurately measure the leak rate. Leak detectors can be categorized in four basic categories (based on four different types of equipment they commonly use): gas leak detectors, electronic leak detectors, ultrasonic leak detectors, and flame ionization leak detectors. The majority of leak detectors fall into the category of gas detectors, including those that detect halogen leaks, vacuum leaks, freon leaks, and natural gas leaks. The term “gas detector” can cause some confusion since it refers primarily to the method this type of leak detector uses (as opposed to the object of specific leak detection methods). This family of leak detectors works by first pumping a tracer gas, such as hydrogen or helium, into a system with a suspected leak. Once the gas is inside, the gas detector measures the rate of the leak with a mass spectrometer. This method, also called direct injection mass spectrometry, allows for the quick detection and quantification of volatile organic compound leaks. Helium leak detectors (commonly known as mass spectrometer leak detectors) are especially popular due to helium’s low cost, extremely low atomic mass, chemical inertness, etc. Once helium is pumped into a test product, it is ionized and eventually converted into an electric current. By analyzing and measuring the current, a user can directly determine helium concentration and indirectly determine any suspected leaks. Electronic leak detectors offer the fastest leak detection times, mainly via either of two (1) heated diode detection or (2) corona discharge detection. A diode is simply a type of semiconductor used as a sensor. Heated diode detectors (which may be labeled as semiconductor leak detectors) use a heated sensor that reacts if and when it comes in contact with rogue gas. Diode/semiconductor leak detectors are valued for a number of useful features, including the abilities to function in low humidity environments and detect both toxic and combustible gases. Corona discharge detectors are a bit more complicated. Equipped with a corona discharge sensing tip consisting of diffusing casing in which resides an anode electrode surrounding a cathode, they create a high voltage corona that will sound an alarm should it detect any changes in gas molecules. Since corona discharge detectors are the older of the two, they are mostly used for the detection of the leak of refrigerants. Their tendency to emit false alarms due to by moisture, solvents, or dust makes them a less preferable option than diode detectors. Ultrasonic leak detectors notify humans of gas leaks by converting the quiet, high frequency noises they make into louder sounds audible to the human ear. These are mostly used for detection of large gas leaks and human counterparts listen for change in frequency through headphones. A final type of leak detector, flame ionization leak detectors, detect leaks by producing a flame between oppositely charged electrodes. The flame reacts with whatever gases are present and produce ions. These ions then move towards and run into the field between the electrodes, producing a current. Once these ions are measured, operators can learn the level of the leak, because the ions produced during combustion are proportional to the concentration of the leak. In addition to these main detectors, there are a number of lesser leak detectors available for use on the market. These include leak testers and gas analyzers, which use flow measurement to test for changes in pressure. (Technically, the term detector refers to devices which identify abnormal substance concentrations, while analyzers measure quantities that are not necessarily abnormal. For practical purposes of this article, however, analyzers can be treated as a type of detector.) Gas analyzers can detect the composition of one gas and confirm or deny its presence, but that is it; they cannot locate it. While limited, these tools are helpful in the definition and monitoring of mass spectrometers. Leak detectors which use infrared technology are another notable class of detectors. Infrared sensor (IR) detectors primarily detect combustible gases by transmitting light between a transmitter and a receiver and determining whether a particular gas is physically interrupting the transmission. Some devices known as infrared analyzers are designed to only monitor CO2 gas, while combustion analyzers are used to monitor and measure both CO2 gas and flue gases. Yet other types of detectors are classified according to their specific environmental application. For example, exhaust analyzers, are made specifically to test the exhaustion of vehicles and other machines. Residual analyzers, on the other hand are used for contamination and process control, particularly of semiconductors. Up to this point, leak detectors have mostly been defined as devices which identify gas leaks. However, it is important to note that water leak detection equipment (or just simply water leak detectors) play a vital role in leak detection as a whole. Obviously, water can cause much damage if not carefully controlled. (By some U.S. estimates, water damage claims exceed both fire and break-in claims by more than twice as much.) Devices such as hot water tanks and frozen winter pipes are especially prone to water leakage. A majority of water leak detectors are electronic and operate by sound. No matter how small, a stream of running water always produces sound waves. As a consequence, water leak detectors are equipped with sophisticated sensors known as transducers which can pick up and amplify such signals. Using custom computer programs to analyze the frequencies of these sounds, a knowledgeable user of a water leak detectors can deduce key information about the nature of a water leak (e.g. location, equipment type, etc.) Water leak detectors are relied upon to locate water line leaks in drainage systems, industrial pipes, oil pipes, steam pipes, etc. For the vast majority of history, water leakage could only be detected acoustically. (This reality caused no end of grief for ancient Roman aqueduct engineers.) A breakthrough occurred in 1879 with the appearance of the topophone, which improved a listener’s capability to identify the precise source of a sound. Although the acoustic method is still the most basic form of water leak detection in use today, more advanced methods do exist. Thermal / infrared imaging as well as ground radar have both been applied in water leak detection systems. The various types of mechanical leak detectors today are extremely useful, because they can detect far lower leak rates than non-mechanized leak detection methods. Leak detectors serve applications in many industries. · In scientific and automotive applications, leak detectors can be found on water pumps, measuring equipment, cylinder heads, hydraulic components, and calibrated volume vessels. · In the medical industry, leak detectors watch for leaks in fluid transfer devices, containers, pumps, and more. · In the automotive industry, leak testers are used during quality control (QA) processes to check assembly line results. · They keep homes and offices safe by offering carbon monoxide detection and water leak detection. · In welding shops and nuclear plants, leak detectors are used to preempt fires from combustible gases. · In wastewater treatment plants, leak detectors identify the presence of toxic gases. Like any sophisticated piece of equipment, leak detectors should be handled and maintained with great care. Some practices to maximize the life of your leak detector include inspecting the detector before and after each use, regularly cleaning the detector with soft, damp cloths (only), storing detectors in dry locations, immediately changing of low batteries (especially for portable leak detectors), and removing batteries to preempt drainage if storing a detector for an extended period of time.